Stepes disrupts traditional translation models by accelerating the delivery of professional human language services so our clients get quality and affordable translations when and where they need them, fast and hassle free. Machine translation is fast, but its quality is unacceptable for customer facing content where cultural nuance and subject matter expertise are needed. Translation errors can be costly, leading to damages to your international brands as well as financial losses if the poorly translated products have to be recalled or, worse, legal consequences as a result of misuse do to translation mistakes. This is why you need Stepes, a game-changing translation solution that achieves speed and scale while delivering the bests linguistic quality. Simply follow these steps to get your documents translated right by an accredited agency so your business can get ahead in global markets with confidence and speed. Upload your documents (we support PDF, Word, InDesign, Excel, PowerPoint and more) to obtain an instant project quote. Our system also supports scanned PDF and images with text. Confirm the subject matter field such as financial, medical or legal so Stepes can be match your translation requirements with our most qualified linguists with domain knowledge and expertise to work on your projects. Next, confirm your project to immediately kick off the project. Stepes has created an online translation ecosystem that automates many of the human touch points associated with traditional translation models (such as translation memory leverage, file prep, translator assignment etc.) so we can get your files translated superfast and with quality. Track the progress of your translation projects in real time and simply download your translation files upon completion. Stepes can usually turn around small projects 100 words or less in 30 minutes. With Stepes, you never have to wait (between a day or a week) to receive even the simplest quotes because our fully automated online translation ecosystem provides translation estimates instantly. We have simplified the translation workflow so you get your documents translated with best qualified linguists with subject matter expertise and most expeditiously. 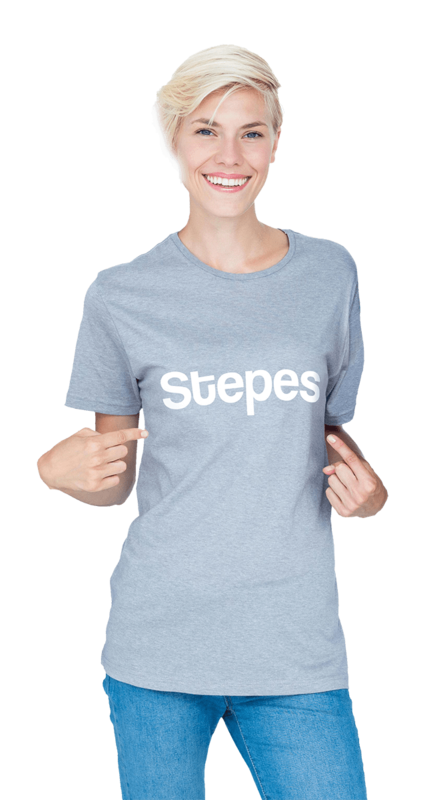 Stepes has been featured in numerous publications such as the FastCompany, Huffington Post, Inc.com, TechCrunch, and Entrepreneur. Our Just-In-Time translation solutions are exactly what our clients in Greater New York need in order to beat their competitions in international markets and grow revenue globally. Need On-Site Interpretation Service In New York City? Do you have important business meetings with international customers or partners in New York, New Jersey or Connecticut and need live interpreter service on-site? Stepes has the perfect solution. Simply download the Stepes App and easily schedule for your next face-to-face interpretation sessions. Stepes Book a Translator uses modern GPS tracking so the most qualified interpreters located closest to you are chosen for the service, saving costs and improving service quality. Need Help with Your Translations In New York?